…UPP gives out Nomination Forms free! Q: 2019 is already in the horizon. Are you confident in the preparations so far? There are other coalitions still going on, and it would continue until the election comes. So, to that extent the political parties have positioned themselves for the 2019 polls. For the electorates, ere has been more voter registration that ever before based on increased awareness and consciousness as promoted by many organizations including religious bodies of all the Faith’s in the country. Additional 14million voters have been added to the number that participated in the 2015 general election. That quite an improvement. 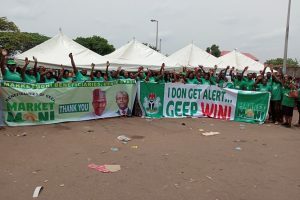 Consequently, I believe that 2019 general election would be more keenly contested as the stakes are higher, the campaigns are already showing to be more robust. Q: That question came on the backdrop of what played out in Ekiti state governorship poll. A: There was nothing that played out in Ekiti that did not play out in Edo, Anambra and Ondo states. It’s just that it has continued degenerating by each election. But this time, INEC has assured they would use Osun state to showcase what 2019 general election would look like putting together the experiences of Edo, Anambra and Ondo states. The new cases was that of vote buying. There was even no cases of the usual violence which the South West was notorious for. There was no serious cases of ballot box snatching. So the real issue is the cases of vote buying. Which I said after our Anambra state very painful experience that in a bazaar situation, because that was what vote-buying is all about, it’s not that any party was totally innocent of it buy it was a matter of who out-buys the other. And in a bazaar situation the highest bidder always win. That was why in the case of Anambra an unusual victory was recorded where the incumbent won in all the 21 council areas. Such has never happened before. So it’s a clear case of vote buying bazaar. 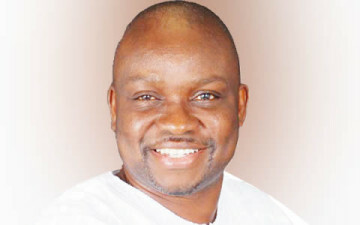 That was it, as it went on and on to Ekiti state which was the most recent. Q: Does it not worry you that the opposition parties and their members appear to have remained endangered species? A: Of course I have been worried about it about it for a long time. 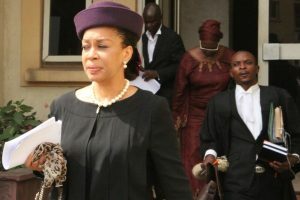 I had the first ugly experience as the national chairman of the All Progressives Grand Alliance(APGA)when the then President Olusegun Obasanjo told me outright that it was political sin for me to have proposed and presented the late Dim Chukwuemeka Odumegwu Ojukwu as a presidential candidate. 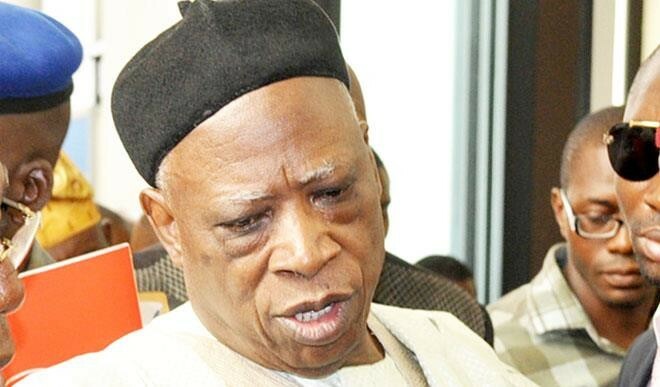 His reasoning was that this was a man that wanted Nigeria divided and came back aspiring to rule the same Nigeria. It didn’t make any sense to him that Nigeria had granted Ojukwu unconditional national pardon. >> But that was his mindset and went to say that for doing that, APGA became a national security issue. Therefore the Security Council met over APGA the decision was that Ojukwu should not be allowed a foothold anywhere in the South East out of fear that he would use that opportunity and leverage to foment trouble again. I called it a morbid fear of the government. Such that the President’s media Adviser -the late Mrs Remi Oyo wrote and described me as an enemy of state just for being in opposition. That was when the issue of extinguishing viable opposition parties became prominent. The danger now is no more the issue of Security Council deciding who is a national threat or not, who wins or not, but it’s now the danger of buying votes. It’s those who have access to public treasury that can buy votes. When I founded the United Progressive Party(UPP) after the APGA leadership crisis, we began from the very point of our registration to canvass for electronic voting system. We didn’t just stop at making public pronouncements of it, we did a memorandum that we gave to President Goodluck Jonathan at the time, the INEC, the entire members of the 7th Senate and Federal House of Representatives each. Then when the 8th National Assembly came, because nothing was done about it earlier, we updated and repeated the memo. Of course I think it may have contributed to some of the provisions that have been made for the Card Reader and so on, though it still leaves a lot undone. But it’s better than nothing. Unfortunately it appears the presidential assent is being withheld. Our own contribution to that is to ensure a level play ground for all through increased use of technology to see that all votes count. That’s the only way smaller parties who don’t have huge purse survive. That’s how a credible popular candidate who is not a money bag can win in a smaller parties. We hope things will continue to improve. Q: What’s your reaction to the withholding of presidential assent on the amendments to the Electoral Act? A: The president said there were drafting errors which the presidency has come up with. I found them very embarrassing and scandalous that the National Assembly with all the first class facilities and capacities they supposed to have in drafting bills could make those types of mistakes as pointed out by the presidency. And because of their fears of who is removed or not they cannot quickly reconvene to look at that. Because the President said, ‘correct these errors and I will sign…’ They were very unpardonable errors that had to do with even numbering of clauses. It was indeed very embarrassing. Q: Compare today’s polity with three years ago in terms of general overview of national peace, cohesion, language, unity, the body language, the leadership…. A: I know that the PDP has not overcome the trauma of defeat and has been a little bit more desperate, sometime very aggressive. The quality of opposition leaves much to be desired. As a matter of fact the PDP has done a lot of damage to the quality of opposition because of the hate speeches and the high level of desperation they have displayed. Constructive opposition demands that when you say that something is not right, you proffer solution and alternative option. That will make people know you have done a deep thinking based on what was being proposed and what you are now presenting as alternative. Because I remember without being immodest in 2003/2004 the NUJ here in Abuja honoured me with the award of “Credible Leader of Opposition”. The occasion was well attended, including the Senate President at the time, Anyim Pius; Eze Igbo Dim Odumegwu Ojukwu; Chief Jim Nwobodo; Dr Tim Menakaya and so many top Nigerians. I so cherished it because I didn’t see it coming. When I went back in history I discovered that I was the first in the history of the nation to be so honoured. >> Since then, I chose to maintain that high sense of credibility. But what am seeing these days is not the type of opposition I expected to see. Today, it’s like an opposition made from the motor park. Nothing is well thought, no credible decipherable options proffered. You just concoct stories; call people names, saying someone is senile, old man and on and on and on. But you were there for 16 good years. What did you do? There’s not much positive things to talk about those sixteen years. As I speak right now, I Chekwas Okorie do not miss the PDP. There’s nothing about them that I can say, oh I wish they were still there! Look at the people who are offering themselves for presidency -all of them, I was thinking there an angel that will fly in from overseas and join PDP to stand for the presidential ticket. But here we are, stuck with people with antecedents we all know. And the leopard cannot change its spots. I can predict that by the way PDP is going when they lose election in 2019 it would become a shadow of itself. This is because when you look at the kind of people that have left the party for APC, and consider those that returned. Instead of managing that return with certain level of political savvy they chose to lay out red carpet for them; offered some automatic ticket. This now made members who had held on in the party all along look like they were never appreciated. It’s a typical case of the prodigal son, because these people that are coming back were those that saw to the party’s loss in 2015 polls. Now they are being celebrated for returning. But there those who didn’t return -former Senate Presidents, former governors, etc. They all have their areas of influence in their various constituencies. If APC got five percent votes in South East, there’s no how they would make anything less this time because in past the party was a pariah state in the South East and South South geopolitical zones. Today things have changed. Therefore as a politician I don’t even see where the PDP optimism is coming from. 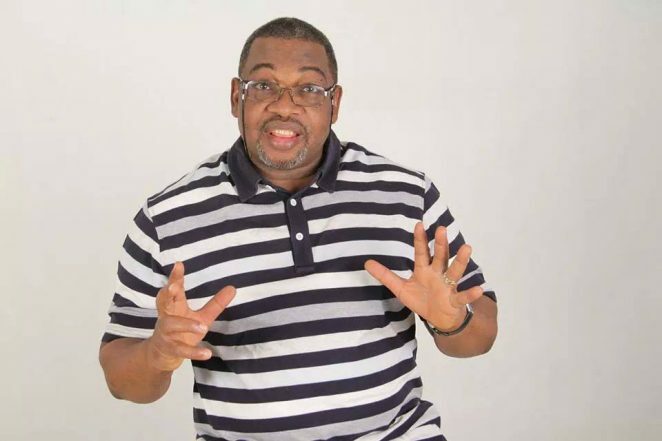 Q: Mr Placid Emmanuel, a presidential aspirant of the Labour Party had described the PDP as the party who killed Nigeria, while the APC is the mortician who carried out the burial. Do you share that opinion? A: That’s an extreme description because Nigeria is not killed or buried; we are still here. So to use those extreme descriptions means there is no more Nigeria. Yes, Nigeria is in real trouble because of the money politics we have been playing and the PDP had access to the treasury for so many years and the APC currently is in charge of the national treasury. The ugly situation left the citizens hopes as fate accompli. The PDP in its own wisdom constituted the Ekweremadu committee immediately after they lost the election that zoned the presidency of this country to the North, thereby saddling the nation with a Northern president head or tail. Forget about the aspiring young ones who want to try their hands on the presidency. The reality of the situation is that we are faced with a Northern option. Our only hope is that in another four years this unwritten rotational presidency that has become a convention will now move to the South. I tell you another aspect that is between the PDP and the APC, it’s all Fulanis that are coming out. I have not seen any PDP member that is aspiring that is not Fulani except Sen David Mark of yesterday. What that means is that we are also faced now with choosing between APC Fulani and PDP Fulani. And I don’t know the difference between one Fulani and the other Fulani. So that is another fait accompli. Q: APC has squealed that after President Buhari they would hand over to the South West. This is without reckoning with the South East. Many saw the stand as political recklessness and unfriendly. A: Though am not a member of APC, I don’t think the party did squeal as you put it. Why that impression is there, the Secretary to the Government of the Federation, Boss Mustapha has on two occasions to my knowledge as published widely, said the it’s fair that the next president of Nigeria come from the South East. But he put a caveat that the zone has to earn it with a massive support for the reelection bid of Buhari. However, the UPP as a policy by our NEC chose not to present a presidential candidate. 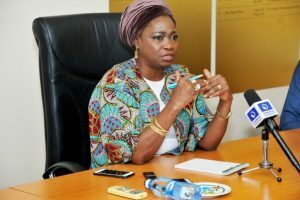 The reason was because we want to concentrate on the rest positions in view of the INEC guidelines that stated that any party that fails to win a seat in the general election will be deregistered. Consequently we said instead of spreading ourselves unnecessarily let us concentrate our energy and resources in certain areas of strength to ensure we survive as a party. Another reason was that we want to use this period to spread and strengthen our party nationwide for the issue of presidential poll in 2023. I can tell authoritatively as the leader of the UPP in 2023 will field a presidential candidate no matter what APC wish to do. That presidential candidate will come from the South East. And if for any reason the APC and or even the PDP chooses somebody from the Southeast, the UPP will not be a spoiler. Instead we will collaborate, cos that is the only way you can balance a few things in the nation to give our people deep sense of belonging. Our people favours restructuring and self determination, but they are issues only the president can sponsor and executive bill on and lobby them effectively for them to become law. And until they become law, it’s not something a cultural organization like Ohaneze, IPOB or MASSOB can achieve on the street. No political party can get either. It’s through the extant laws, and for the laws to be changed to reflect those things you need the instrumentality of the president to do that. So those who say they don’t want president we want restructuring, especially in the South east come across to me as simply being politically naive. You cannot get restructuring if you are not part of government. It’s either you are president or an effective art of that presidency can effect change in laws of the land. Q: How prepared is UPP for the coming general elections? A: Well, UPP is very much prepared and ready. We are also playing on the very obvious and realistic scenarios that are playing out. There is no doubt that our key area of strength is the South east… And other parts of the country where Igbo people have reasonable number. Even people who are not Igbo speaking who are using the PDP today we are expecting should come using my own leverage. I have leverage even outside the UPP. After all there people who are not members of the UPP that live in places with high concentration of Igbos who invite me from time to time to use my UPP platform to talk to and address the Igbos there to vote for them because they believe that their votes added to whatever they would get from other people would make them win. But in Igboland, there are so many people wanting to use APGA, there’s no doubt about that. 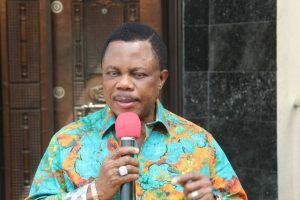 The recent Anambra victory gave the party a very big boost. There are many people using APC. There so many others using the PDP. They are the key parties in the South East that coincidentally shared the five states in the South East. 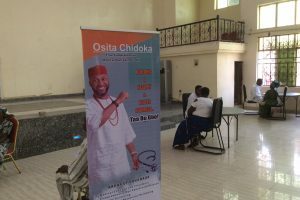 Now the UPP is there recognized as the alternate Igbo platform which remains the hottest next option of all those who lose out in these parties. So UPP has positioned itself for that late surge which is already beginning to play out. Everyday now we have been receiving more and more people coming to collect nomination forms. We are hoping that it will continue to increase until the last day for the submission of the completed forms which is Oct 7,2018 according to the Electoral Act. Thereon in the campaign field, you will see that the UPP has strategized well. Q: Insecurity, whether by decimation or incapacitation of Boko Haram, we all are very aware that killings, and bloodletting are very much around. Many citizens are prominently worried. Are you, too? Of course, any citizen of this country ought to be worried about how life has become so cheap, short and brutish in the country. It’s like history repeating itself as in the 30-months of the fratricidal war. What is happening in the North East cannot be compared with what happened in the Biafran enclave now called South east and South South. As the killings went on then, the rest of Nigerians went about their normal businesses because there was no economic blockade, bombing of market places, schools, etc and now it’s happening in a different section of the country. Today while people of the zone is having their normal economic, social and cultural lives are being distorted, other parts of the country are going about their normal businesses without knowing fully what the North East citizens are going through. The governments, I said governments, because the ugly situation didn’t stand with the present government to me, has not done enough. Or it appears the insurgents have overwhelmed everybody. President Buhari came with a lot of promise and optimism being a military general and a religious fundamentalist, everybody was hopeful that being what he was being accused of, that is being a religious fundamentalist and fanatic that those jihadists would simply take instructions from him. But it’s not been so. That has also put to question his level of fundamentalism and his level of control over those people. It’s unfortunate and am indeed very worried about the whole thing. Again, I do not believe that if anyone failed to deliver on his assigned duty he need to remain there. The present crop of security chiefs have failed. I do not know why they have not been fired. If I were the president I would have long altered the security architecture of the nation and changed the faced who are in command. 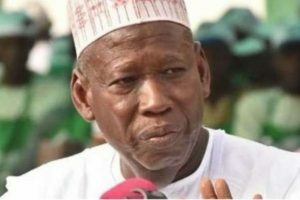 At his inauguration in 2015 the first thing he said was that there will be a command Centre in Maiduguri, Borno state. If that has yielded any result was yet to be seen. There was no result. To that extent, the president has not been pragmatic in the issue of holding such officers responsible for not doing their assigned jobs well. Despite the enormous investments and global assistance and sympathy we have been receiving, not much has been seen other than rhetoric statements by the presidential spokesmen. The situation has remained deplorable. 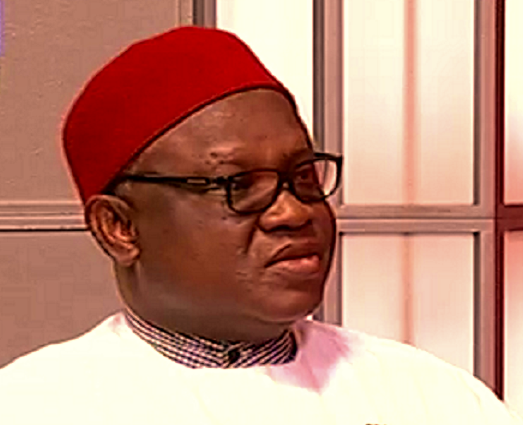 Q: All the pro-Biafra groups are still having running battles with agencies of the FG. 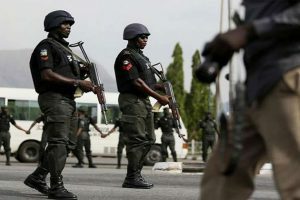 Despite the negative effect of Python Dances 1 and 2, we are now talking about Python Dance 3 in a zone that has no record of security threat to the State. A: Am totally oppose to these Python Dance issue. The 1 and 2 have come and gone, we cannot turn the hand of the clock back, but this third version is a provocation that is avoidable. I do jot see what the military has to do with internal security where we have the Police, the DSS, the NSCDC and so many other paramilitary outfits funded by taxpayers’ money. The role of the military is well cut out. They have armed insurgency in the North East to contend with and it should be a source of embarrassment that they have not been able to do it. An untrained ragtag Boko haram have overwhelmed the military even with their sophisticated weaponry, expertise and trainings. And these are the same military that has face to go to show might within civilian population of villagers. I really think it’s not good for the government because the more and more you expose military men to civilian activities you draw their interest to politics. That’s what make military men begin to eye power and it’s not the right thing to do. I sincerely use this medium and opportunity to caution the FG to thread very carefully. There should be no Operation Python Dance 3. It’s a provocation that is avoidable, unnecessary which I do jot see how it helps anyone, particularly at this election period when everywhere is tensed up. Today, flashpoints are everywhere, people are fierce and angry. FG should be thinking of dousing tension. 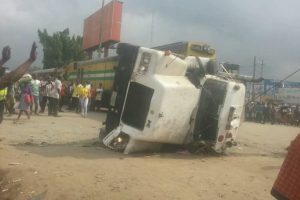 There so many things this administration has been doing in the South East area that that the PDP didn’t do. They should be promoting and improving on those things instead of doing something in one hand and withdrawing same with the other. Therefore, to me Operation Python Dance 3 is a recipe for anarchy. Q: The economy is clearly not doing well at this time. More people are losing their jobs, no new ones being created; yet the government is daily shooting inflationary rate to rooftops by it actions and policies, including the high cost of nomination forms? As a party leader and stakeholder, what is your reaction? A: The beauty of multiparty democracy is the multiplicity of options open to participants because there many political parties. Now we have 91 parties. It’s like a market place where you sell your product based on your perception of the quality of your product. Some parties believe that once you get their ticket you are as good as having won the election. APC and PDP, have high prices. Even APGA that is controlling only one state is almost competing with them in the high fees. But what has UPP done. We are the only party I know of that has a deliberate policy of domesticated the ‘Not-Too-Young to Run’ law. All those from the age of 30 and below get our nomination forms free, and no fee for the expression of interest form also. In fact someone came from Anambra state today with evidence that he is 29years old and we gave him the forms free. >> UPP gives women forms free, irrespective of whatever office they want to run for. We also give forms to the physically-challenged persons irrespective of age for all offices. We have cut all fees for different offices down drastically. We have cut state Assembly fees from N200,000 to N50,000 and the National Assembly from N500,000 to N200,000 for Reps and Senate from N1m to N500,000. For the governorship aspirants, we cut them down from N5m to N3m. You can see we have made things affordable. So it’s one’s choice to go pay N22m for the same form we have cut down to N3m.